Master Sung Ho Kim is the Founder, Owner and Head Master of Family Martial Arts. Master Kim is a graduate of the prestigious Yong-In University in Korea where he majored in Tae Kwon Do and Hap Ki Do. Master Kim has over 30 years of martial arts experience. Master Kim has traveled around the world representing both his university and country in Tae Kwon Do competitions and demonstrations. 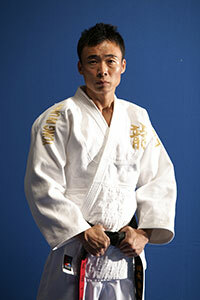 He has successfully taught martial arts in Korea and the United States for over 20 years. He holds a seventh Degree Black Belt in Tae Kwon Do and fifth Degree Black Belt in Hap Ki Do and is highly accomplished in sparring and weapons. Master Kim has a very unique and effective method of working with both children and adults. He is compassionate yet demanding in the classroom. He respects every individual and their respective talents. Master Kim emphasizes self-improvement through consistent application of the tenets of Tae Kwon Do, which he lives by example. He has trained students who have competed successfully on the local, regional and national levels. He also blends the children’s Tae Kwon Do program with their scholastic efforts to ensure balanced student development. The ultimate goal is for the student to exhibit the knowledge, self-confidence, and values they learn through martial arts into their everyday lives. At FMA, our students come first. Our goal is to help each and every student achieve the many benefits that martial arts has to offer. At FMA, we are not only interested in self-defense skills, but also in the development of each person as a whole. A famous teacher once said, “These are the tools of everyday life. What you learn here, you can apply elsewhere”. Nowhere is this more important than in our children’s classes, where we realize that we must embody the very same principles that you, as a parent, seek to instill in your children. Although our techniques are based on centuries old knowledge, it is our application of that knowledge that sets FMA apart. We realize that each individual possesses different natural abilities, as well as size and strength. That is why, once you have acquired a strong foundation and understanding of the basics, our program is individualized to match your physical capabilities in order to maximize your self-defense skills. Should the need ever arise, you will possess a firm understanding of what it takes to both mentally and physically defend yourself and loved ones in any situation.